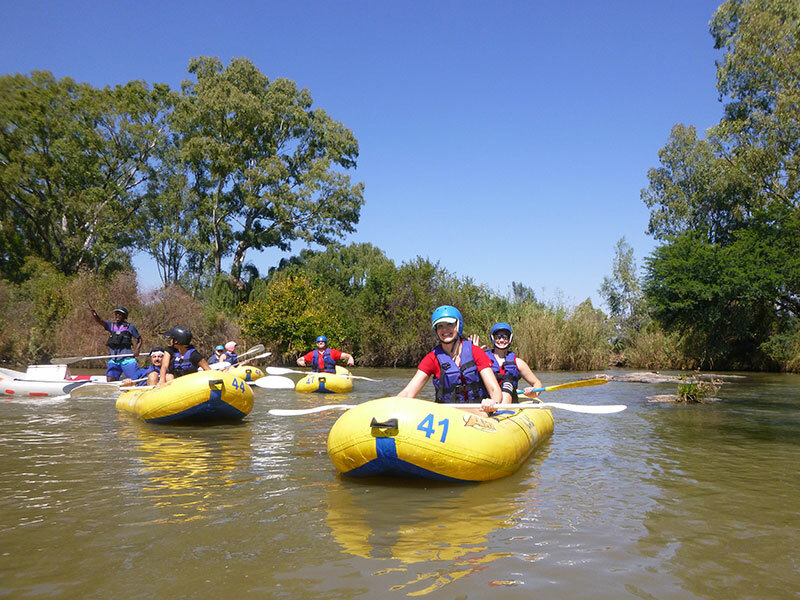 Parys is known for being an adventure mega destination and the best place to start your adventure is with river rafting! 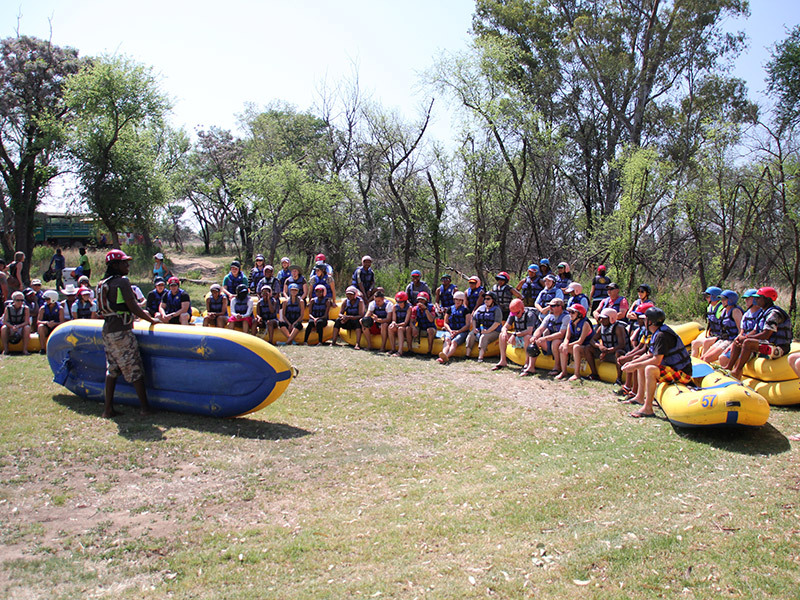 River rafting on the Vaal is a great stepping stone in preparation for bigger rivers. We offer a variety of day trips under the supervision of qualified and well-trained facilitators for your next corporate event. 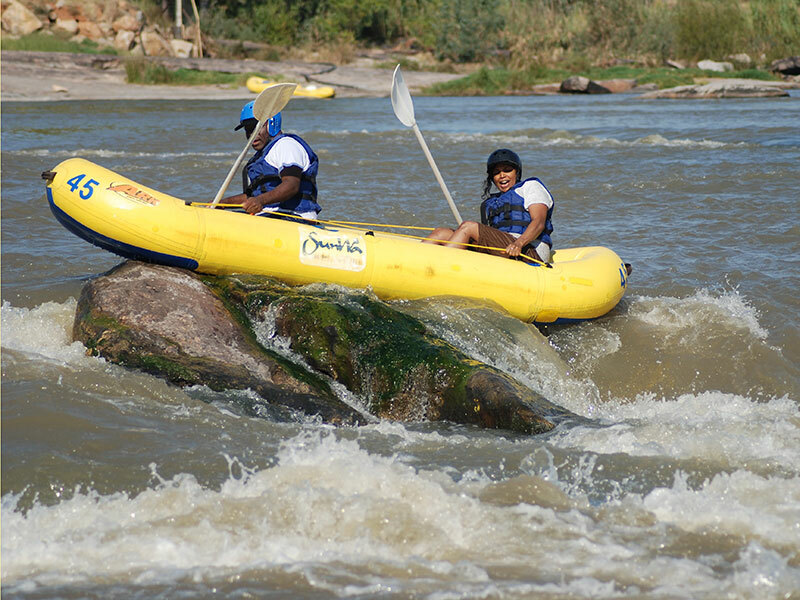 Specially designed inflatable rafts, renowned for their safety, comfort and stability, are used for rafting. 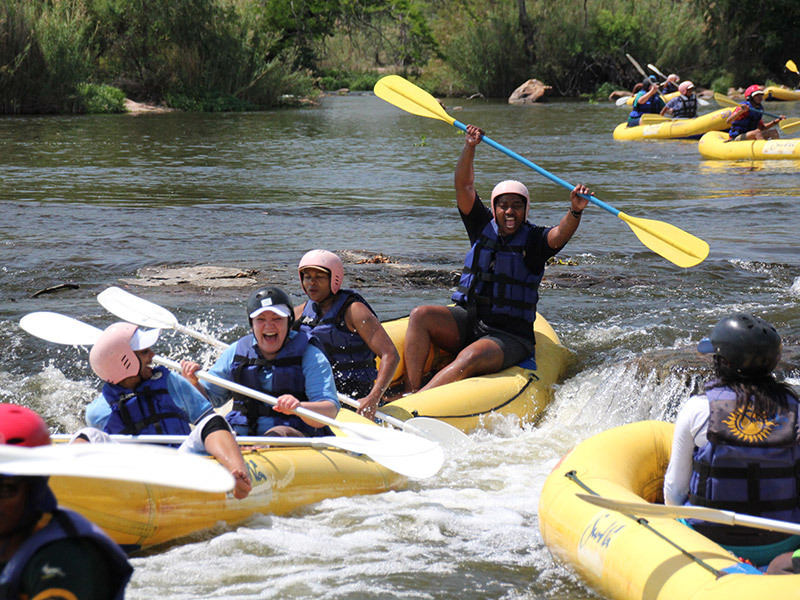 Protective headgear and personal floatation devices must be worn at all times for own safety. 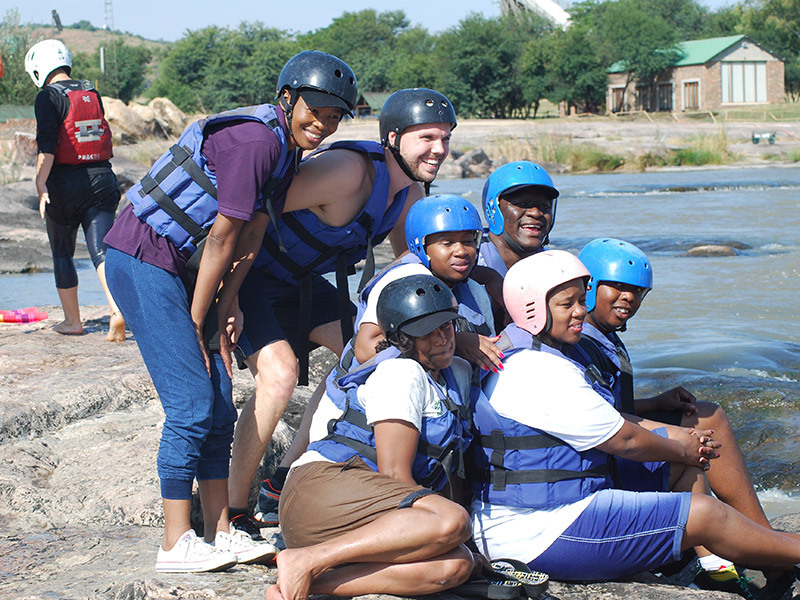 River rafting can be incorporated with team-building activities, such as castle building, boat swopping and body surfing. Route: Starts in Parys and ends at SunWa, stopping for lunch at Paradise Island. Route: Starts at Paradise Island and ends at SunWa. 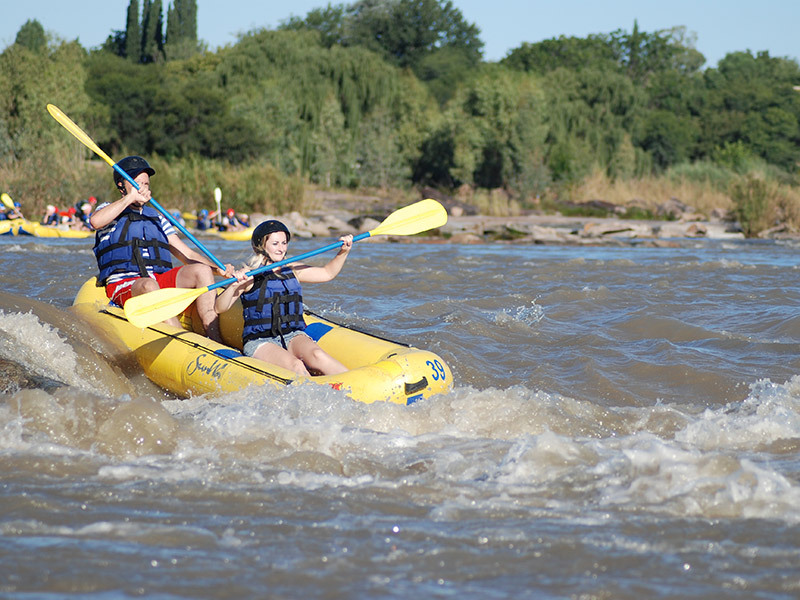 Route: Experience the famous “Gatsien” rapid and try to emerge dry on the other side!